Thats right! 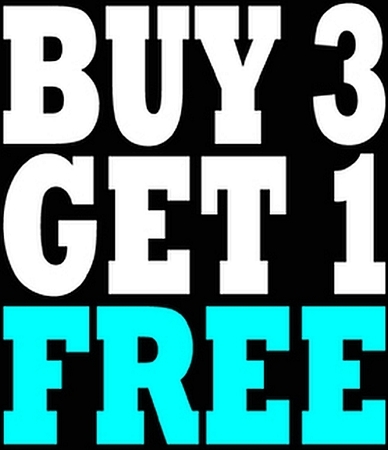 Buy 3 of any size bottle and get the 4th for Free!!! Any flavor, Any VG/PG Any Nicotine level.